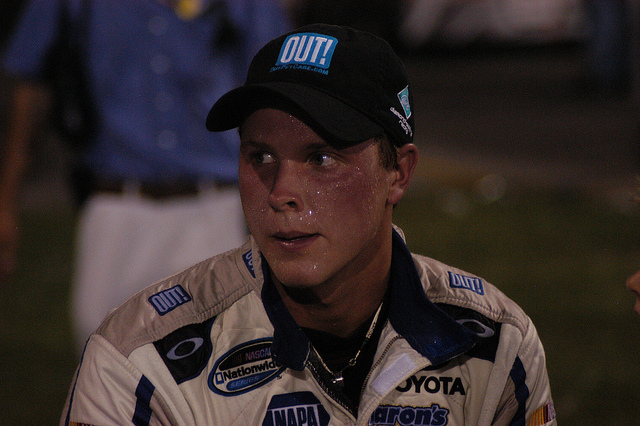 2011 HIGHLIGHTS: In just his second career Sprint Cup start, Bayne became the youngest driver to ever win the Daytona 500, at 20 years and one day. Bayne also finished 11th in Nationwide Series points while running for Roush Fenway Racing, taking his first career series win at Texas in November. 2011 LOWLIGHTS: Finishing 40th at Phoenix the week after Daytona wasn’t the biggest disappointment of the season. A spider bite that gave Bayne Lyme disease kept him in a hospital and off the track for five Nationwide races and the Sprint Cup Coca-Cola 600. Bayne had been fourth in series points before the bite, but came back to 15th place and could never crack the top 10 again for the rest of the season. SEASON OUTLOOK: All it took was one Daytona 500 victory for millions of people to lament just how little they had done with their lives in relation to Bayne, whose victory returned the Wood Brothers to the top of the sport for the first time in years. The hottest young property in the sport in the wake of his popular win, Bayne worked his way through a half-season Sprint Cup schedule with minimal success beyond February, and fought through Lyme disease to post some strong Nationwide results. But if 2011 was adventurous for Bayne, 2012 will be less so. Limited sponsorship will force Roush Fenway to cut Bayne’s Nationwide schedule from full-time to part-time, making his half season Sprint Cup schedule the priority. The Wood Brothers are good about choosing quality opportunities at the racetrack instead of overextending themselves, as their half-century in the sport leaves them with too much self-respect to start and park. Bayne showed some flash at the four superspeedway races last season, frequently qualifying well after his Daytona win. 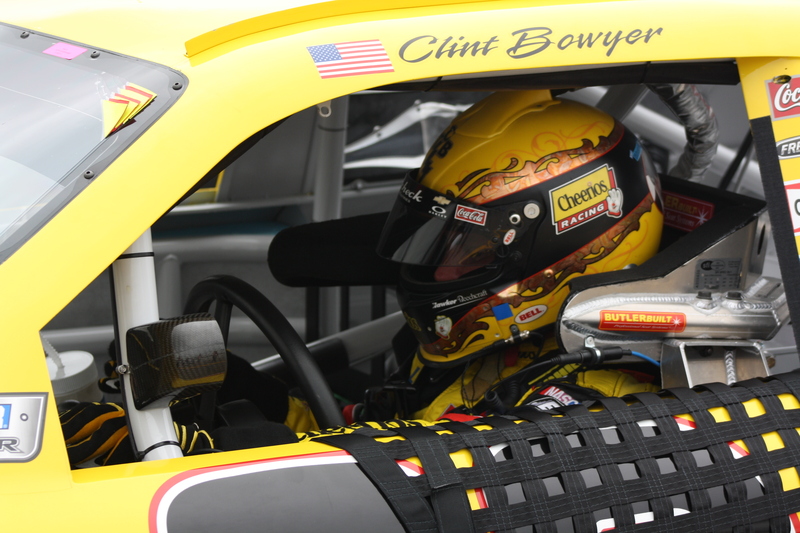 Those races will present his best opportunity to score another win in 2012. 2011 HIGHLIGHTS: Logano took the second and third poles of his career, at Infineon in June and Pocono in August. He ran his best in big races in the middle of the season, finishing third at both the Coca-Cola 600 at Charlotte in May and Coke Zero 400 at Daytona in July. He also established himself as a solid road course driver, finishing sixth at Infineon and fifth at Watkins Glen. 2011 LOWLIGHTS: 2011 marked the worst season of Logano’s brief Sprint Cup career, a step back from his 2010 results. He posted career lows in top 10s (six) and rank in the standings (24th). Logano also led 44 of 200 laps at Pocono after winning the pole there, but finished a disappointing 26th; he only led 14 laps in the other 35 races on the schedule. SEASON OUTLOOK: At this point in his career, it doesn’t seem a stretch to think that Logano was a bit rushed into Sprint Cup. Like many other athletes who receive a serious amount of hype before hitting the big time, he hasn’t quite torn up the major professional ranks; his lone win remains a rain-aided victory at Loudon as a rookie in 2009. And with his contract up at the end of the season, this is a make or break year for Logano. He’ll have to earn his contract extension in the wake of major changes for this season. Crew chief Greg Zipadelli (who had been with the #20 team since its inception in 1999) has rejoined former Gibbs driver Tony Stewart as competition director at Stewart-Haas Racing. His replacement will be Jason Ratcliff, who comes from Gibbs’ lead Nationwide Series team. Logano has also started seeing a sports psychologist, following teammate Denny Hamlin, as a way to help build his confidence. If it makes the difference between 20th in points and the cusp of the Chase, expect that contract extension to come soon enough. If not, get ready for the Bobby Hillin comparisons. 2011 HIGHLIGHTS: Now married, the man they call “Rowdy” started off the season with a lot less to say, as people wondered whether or not he’d finally cleaned up his act. He became the first driver to clinch a spot in the Chase for the Sprint Cup after winning at Michigan in August. He would finish the season with four wins and rank 12th in points. In the Nationwide Series, he took his 50th career win at Bristol in August, setting a new series record. SEASON OUTLOOK: The fun of racing in all three of NASCAR’s major series is over for Busch. After last season’s November meltdown, Busch won’t be driving for his own Camping World Truck Series team anymore, handing over the reins to Jason Leffler. He also won’t represent Joe Gibbs Racing at the Nationwide level anymore, instead moving his Kyle Busch Motorsports up and competing for the owners’ title while splitting the ride with brother Kurt. That being said, these things all hurt the presumption that Busch is primarily a Sprint Cup driver, which is what he needs to be. It’s pretty clear that Gibbs is on his last nerve with Busch, whose driving talent is all too frequently overshadowed by late-season faltering and support series meltdowns. It’s highly unlikely that Gibbs will ever can his star driver for on-track performance – he’s just too good – but one more incident against Mars Inc.’s wishes will have Busch looking for a new job, just like his brother Kurt was this offseason. He’d better grow up, and fast. 2011 HIGHLIGHTS: After the birth of his second child at the start of the season, Kenseth put together his best season since 2007, winning three races and three poles (nearly doubling his career total in that statistic) to finish fourth in the Chase for the Sprint Cup. He also cracked 20 top 10 finishes for the fifth time in his career. 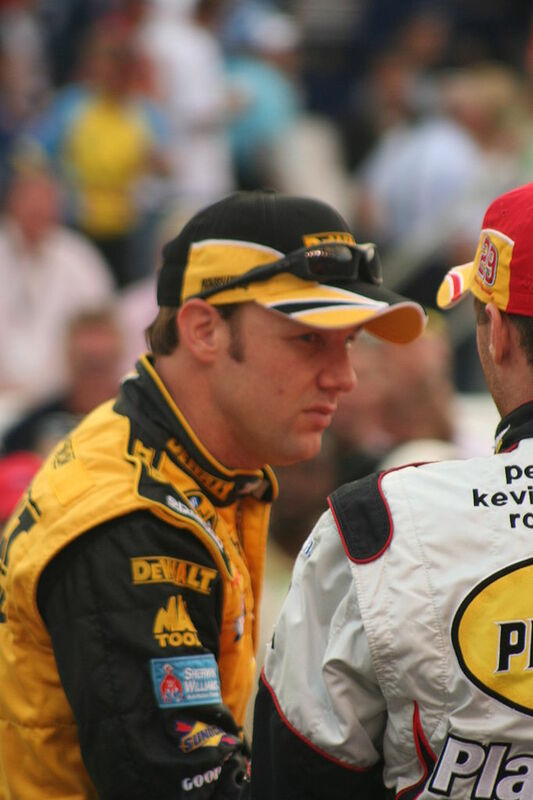 2011 LOWLIGHTS: Kenseth usually had bad luck immediately after a stroke of good luck. Much of the momentum Kenseth accrued at Texas in April after snapping a two-year winless streak was sucked out after a crash the next weekend at Talladega. The Texas win had catapulted him from ninth to third in points; the crash set him back to eighth. Finishing 21st at Chicago in the first race of the Chase started him off at 10th in points; after working his way up to second at Talladega, a 31st place finish at Martinsville the next week knocked him back to fifth. SEASON OUTLOOK: Recently, Kenseth has established a pattern of following up a winning season with a winless one, and the winless seasons have both occurred on even-numbered years. Take out of that what you will, but worry more about the piecemeal sponsorship program funding this team; Best Buy has signed on for only nine races, while the Valvoline sponsorship (good for a single Sprint Cup race for Roush Fenway Racing last year) is undetermined. If anything will kill the momentum of this team, it will probably be that. Team owner Jack Roush has committed to run the driver that gave him his first Cup championship for the full season come hell or high weather, but you have to wonder when and if the money pit will run dry. Times are tough in the sport, a fact to which Roush can attest, after having to shutter the iconic #6 car for all but the Daytona 500. There aren’t many indications that this season will work out for Kenseth as it did for Jeff Burton in 2004 (i.e., with Kenseth joining another team with a funded but struggling ride), but there are plenty of signs pointing to a lot of different paint schemes for this car in 2012. 2011 HIGHLIGHTS: With three poles on the season (at the second Michigan, Kansas, and Texas races), Biffle set a new personal best in 2011. He also led more than 10 laps in seven different races, including a total of 154 laps over both Michigan races, on the way to a 16th place finish in points. 2011 LOWLIGHTS: Biffle had his worst season in four years, breaking a three-year streak of making the Chase for the Sprint Cup. He had only three top five finishes, his worst mark since his rookie season in 2003, and went winless for only the second time in his career. 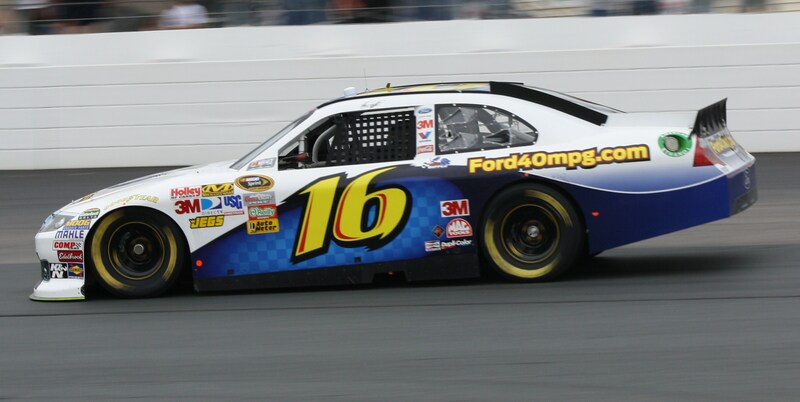 SEASON OUTLOOK: After Carl Edwards put together the most consistent Chase in the format’s history and Matt Kenseth rode early season victories to a solid points finish, Biffle became the apparent third rung on the Roush Fenway Racing ladder by the end of 2011. Though he and Matt Puccia (who replaced Greg Erwin in July) began to put together some solid end of season runs, they didn’t have enough momentum or chemistry to find a back way into the Chase, and so ended Biffle’s streak of championship-eligible seasons at three. As for Biffle’s 2012 prognosis, do recall the famously unpredictable career trajectories of modern Roush drivers. Edwards has only won a total of three races since scoring nine victories in 2008; he didn’t win at all in 2009, finishing 11th in points. Kenseth has also suffered two winless seasons in the past four years, in 2008 and 2010, but has finished fifth and fourth in the past two Chases. The only thing that seems consistent is that no Roush driver (save for clear-cut number four David Ragan, who hasn’t been competitive since nearly making the 2008 Chase and was dumped due to lack of sponsorship this offseason) has two bad years in a row, so look for Biffle to rebound in 2012. 2011 HIGHLIGHTS: Bowyer took his fifth career Sprint Cup win at Talladega, taking the checkered flag at the October race for the second year in a row. With four top fives and 16 top 10s, Bowyer finished 13th in points, the best driver not to make the Chase for the Sprint Cup. 2011 LOWLIGHTS: Missing the 2011 Chase after mounting a serious charge to get in the previous season proved a disappointment for Bowyer. Worse, he had to break an owner-driver relationship with Richard Childress after the season that neither party wanted to terminate; Bowyer ended up taking new 5 Hour Energy sponsorship to Michael Waltrip Racing. SEASON OUTLOOK: Bowyer and Brian Pattie will lead a brand new, third team at Michael Waltrip Racing, which expands to three full-time cars for the first time since 2008. They’ll take the owners’ points from David Reutimann’s team last season to guarantee their way into their first five races, surely an aid as the new combination attempts to gel. Meanwhile, 5 Hour Energy moves up from Steve Wallace’s Nationwide team to back the team for 20 races. 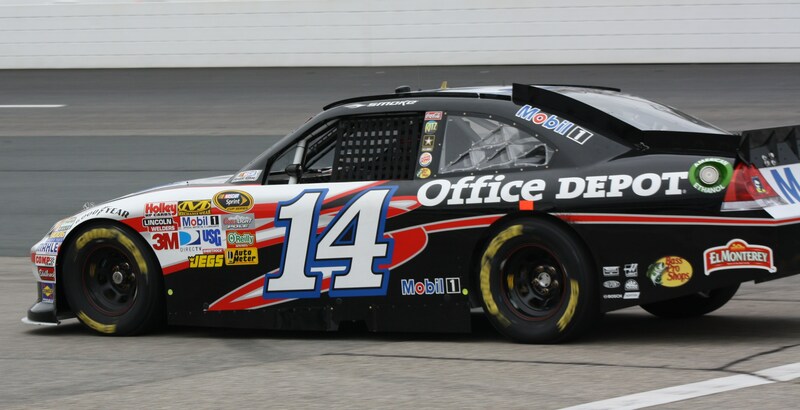 MWR is a decent team that’s looking to reach the next level and crack the Chase for the first time in 2012, and judging by his past results in the final few months of the season, they feel that Bowyer’s the guy to take them there. The key will be how quickly this team learns to work with one another. Bowyer and Pattie haven’t worked together before, and the crew will be completely new, perhaps comprised of some of the displaced members of the former Team Red Bull. With a three-year contract, Bowyer will have plenty of time to settle in, but for his team’s sake, the sooner they can put it together, the better. 2011 HIGHLIGHTS: In one of the most entertaining Chases ever, Stewart took five race wins, including the final one at Homestead after falling to the back of the field twice, to score his third career Sprint Cup championship. It was the first win for an owner-driver since the late Alan Kulwicki’s similarly dramatic championship in 1992, and it came down to a tiebreaker: after tying Carl Edwards in points through 36 races, Smoke’s five wins bested Edwards’ one. 2011 LOWLIGHTS: Stewart backed his way into the Chase, failing to score any victories in the first 26 races of the season. 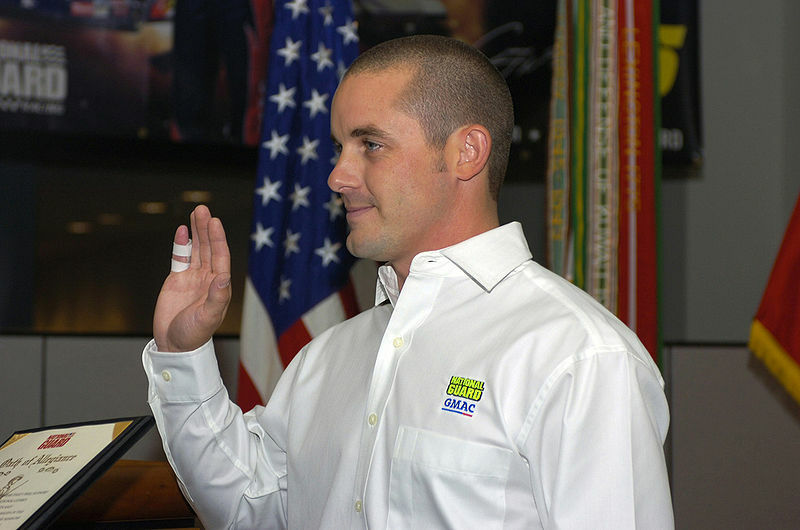 He then made the decision to can crew chief Darian Grubb for 2012, a decision that he did not retract after winning the title. SEASON OUTLOOK: Matching his torrid Chase pace from last season seems out of the question for Stewart, now that the motivation (the embarrassment of making the Chase without scoring any race wins) and the engineer (crew chief Darian Grubb, now leading Stewart’s former teammate, Denny Hamlin) are gone. In Grubb’s place will be Steve Addington, who’s crew chiefed both Busch brothers at different times in his career. Stewart also welcomes Greg Zipadelli, the crew chief for his first two championships, to Stewart-Haas Racing as the team’s competition director. It’s strange to see so much change at a championship-winning team, but Stewart isn’t one to rest on his laurels. He’ll still be plenty motivated, just by the desire to repeat, not by the desire to validate his team’s worthiness in the Chase. His decision to let a key member of his championship-winning team go is incredibly risky, but not completely out of character for this generation’s answer to A.J. Foyt; if everything isn’t perfect, it’s not good enough. Stewart will hold his team to a high enough standard that they’ll have a real shot at repeating in 2012. 2011 HIGHLIGHTS: After years of switching rides, Mears finally found some consistency, returning to Germain Racing in 2011 after joining the team two-thirds of the way through the 2010 season. He did a solid job with the semi-funded team, ranking 31st in points. 2011 LOWLIGHTS: Mears failed to qualify for the season’s most important race, the Daytona 500, and failed to score any top 10s. His best finish came at Martinsville in the fall, when he placed 12th. SEASON OUTLOOK: Mears and company won’t have to worry about failing to qualify at Daytona again, as their 32nd place finish in 2011 owners points will guarantee them a spot in the first five races of the season. The other good news is that sponsor Geico has re-signed with the team on a multi-year contract, ensuring even more stability (and perhaps never having to start and park again, as they did a few times in 2011). That being said, however, this is still a bottom-of-the-barrel team that is still trying to establish itself at the Sprint Cup level after years of success in the Camping World Truck Series. On the other hand, Germain’s truck operation appears to be all but shuttered for 2012, as a lack of sponsorship for either Todd Bodine or Max Papis has those teams on hold. That may be a blessing for Mears, though, if all of Germain’s top crew members are folded into this team. They still won’t be a Chase-caliber operation, and their points ceiling may be about 25th place for now, but as long as everybody is patient with the manufacturer switch from Toyota to Ford, good things might happen. 2011 HIGHLIGHTS: Hamlin made the Chase for the Sprint Cup for the sixth consecutive season, finishing ninth in the standings after winning one race at Michigan. 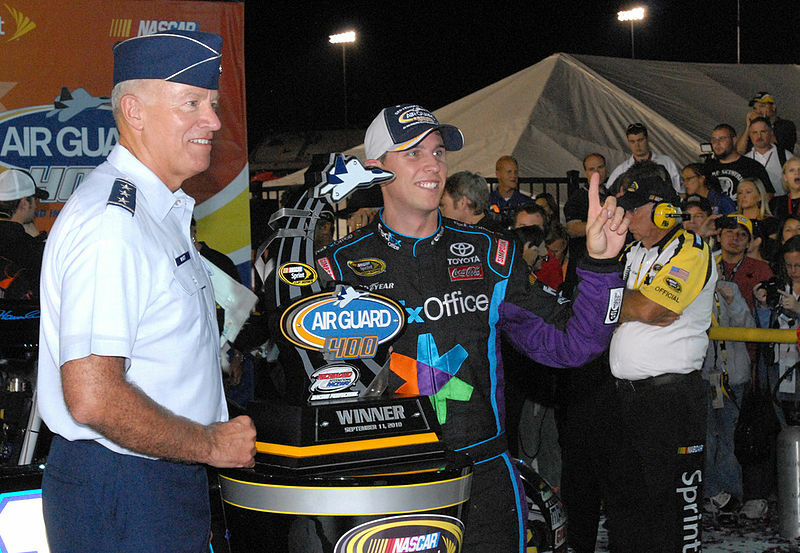 He also continued to assert his status as a driver to beat at Martinsville, a track at which he now owns a career average finish of 6.5; although he didn’t win either race (as he won both in 2010), Hamlin led a total of 147 laps. 2011 LOWLIGHTS: Hamlin spent much of the season outside of the top 10 in points, even hovering in 20th place or worse for a handful of races. When he did make the Chase, he spent half of it in 12th place (out of 12), only climbing out of the hole very late. Compared to 2010’s second place run, 2011 was a major disappointment. SEASON OUTLOOK: The same hangover that frequently befalls Chase runner-ups claimed Hamlin last season, as he went from eight race wins to one, two poles to zero, and second place in points to ninth. In response, Joe Gibbs Racing canned longtime Hamlin crew chief Mike Ford and replaced him with Darian Grubb, fresh off a Sprint Cup title with Tony Stewart at Stewart-Haas Racing. It won’t be the only change at Gibbs’ operation, as the team has merged its engine program with Toyota’s own; Gibbs suffered an unusually high number of engine issues early in 2011 in the wake of a February flash fire in their engine department, but the team has claimed that the merger was mostly due to economics. Either way, Hamlin must be hoping that the significant amount of organizational changes make a serious difference in his 2012 campaign. Adding Grubb, whose release was in the works before the Chase and was never reconsidered, is a sign that this team is serious about getting back to the level that they were at in 2010. The key will be to start much stronger – both in February and at the beginning of the Chase, this team was sluggish out of the gate. If they’re not spending all season trying to make up ground, they have a better chance to re-establish the confidence that Jimmie Johnson seemingly shook out of them in the final two rounds of the 2010 Chase. 2011 HIGHLIGHTS: In her second limited schedule of Nationwide Series events for JR Motorsports, Patrick cracked the top five for the first time by finishing fourth at Las Vegas. She also announced that she would leave the IndyCar circuit to run the full Nationwide schedule for JRM in 2012, while preparing to transition to Sprint Cup in 2013 with Stewart-Haas Racing. 2011 LOWLIGHTS: Patrick’s full-time IndyCar swan song was about as unfocused and uninspired as any results she’s ever posted. For the first time since 2006, Patrick failed to post a podium finish. Her average finish of 12.4 was her lowest since 2005, her rookie year. Patrick lagged at road and street courses, especially in qualifying, and only took a top 10 spot in IndyCar points by two markers over Helio Castroneves. SEASON OUTLOOK: It only took about half a decade for somebody to finally get Danica to bite the stock car apple, as the brighter spotlight and full-time tutelage of Dale Earnhardt Jr. (in the Nationwide Series) and Tony Stewart (in Sprint Cup) were too great of temptations for Patrick to resist. Then again, with her performance nearly relegating her to fourth best out of four at Andretti Autosport, her former IndyCar team, the decision to leave the series that made her name might not have been as difficult. None of the top IndyCar teams were going to bid for her services, and the personnel ready to aid her transition to stock cars is top notch; Patrick’s Sprint Cup crew chief will likely be new Stewart-Haas competition director Greg Zipadelli, the man who led Stewart to his 2002 and 2005 championships. Jumping from 29 combined races to 43 will be no easy task, however, especially when many of those races will be much longer than IndyCar events. That’s not to say that Patrick is somehow not fit or talented enough to compete in all 43 (33 Nationwide, 10 Sprint Cup), but keeping the intense promotional schedules of a world-famous advertising spokeswoman in mind, 2012 will be the busiest year of Patrick’s life. That’s a big reason why many of NASCAR’s most popular drivers, including Earnhardt Jr. and Stewart, run only one-off Nationwide events and focus on their Sprint Cup schedules. But while Patrick may be in for a rude awakening to that end that affects her race finishes, everybody involved is aware that this is a learning year for 2013. The finishes may be subpar on the Sprint Cup level this time around, but come her rookie campaign next year, she’ll be ready to contend.